Thankfully, my wife understands my passion for good beer, so as any beer lover would do we made sure to work some great beers into our vacation. We tried some stellar beers, but not every place was a beer haven. 3) Belgium Wit - leaning more toward a fruity American Ale, but one of the best American Belgium style beers I have tried. 4) Brown Ale - Perfectly true to the style. Leans a little more to the northern brown, with a prominent caramel flavor. 5) Black Lager - About as good as I could imagine a black lager could be: A nice lager with black malt for color. In my opinion, this is style is likely to be a passing fad. 6) Oatmeal Stout - An excellent example of the style. This balances the black malt well with all of the other components of a stout. In Buffalo we visited Blue Monk. (http://bmbflo.com) The beer selection here is outstanding with over 30 beers on tap and over 100 in bottles. 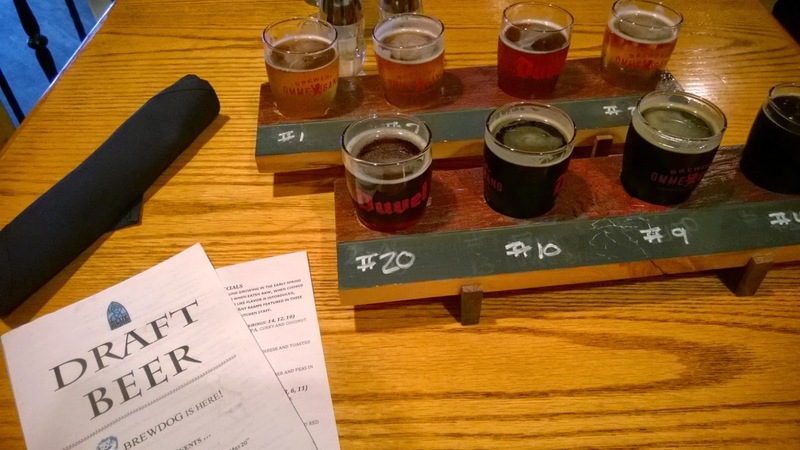 There are four different flights to choose from: Hop head, America, Belgian, and Dark. We went with the Belgian and the Dark. 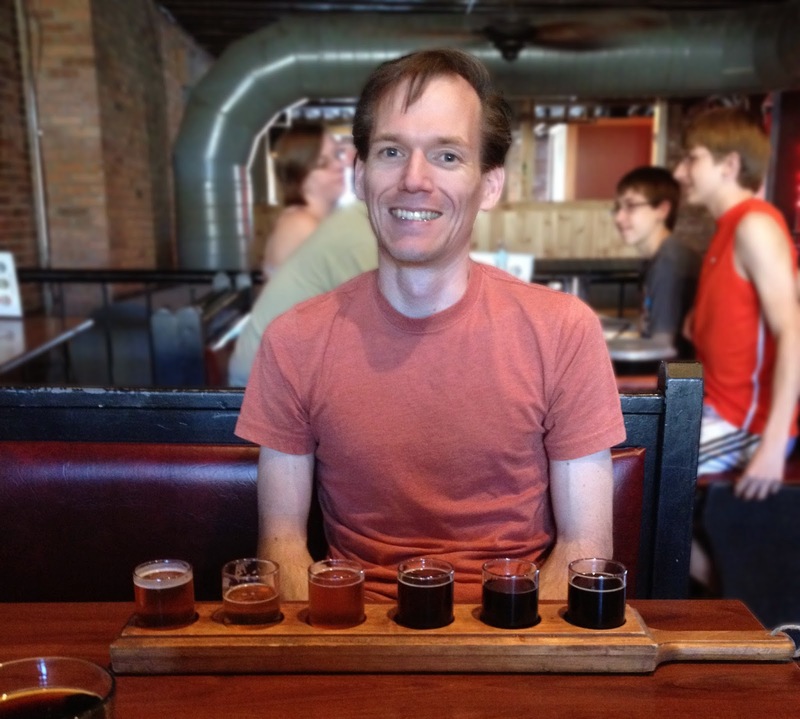 All of the beers were excellent, and each one flowed nicely to the next. We even found references to beer in some unsuspecting places. 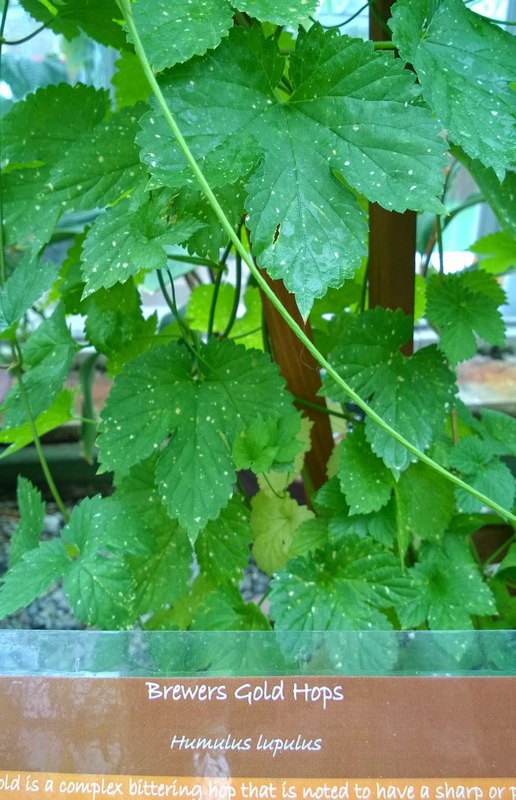 The Buffalo Botanical Gardens were growing Brewers Gold Hops! "Local and Craft beer? Lets see we have Bud... wait, craft beer?? umm..."